A beautiful autumn or light winter female scarf. 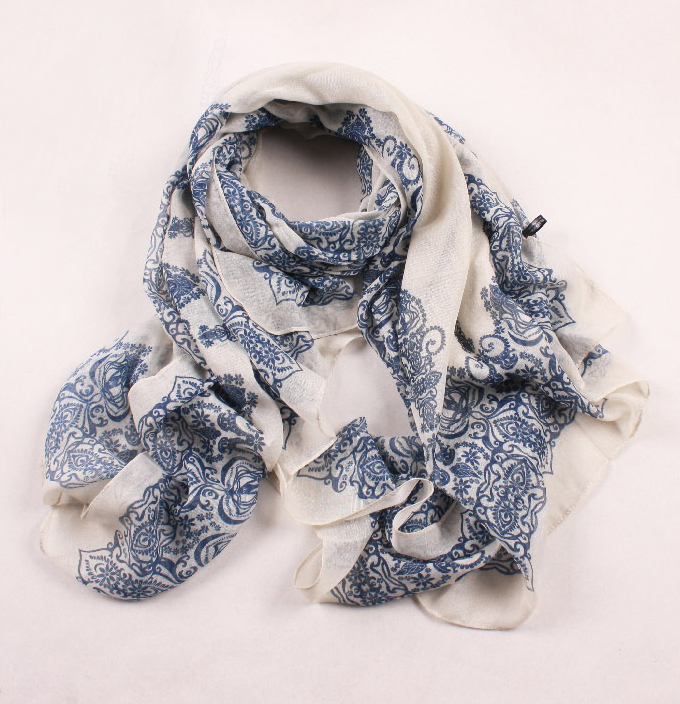 White porcelain with blue paisley style patterns, a great fashion accessory. Colour: Blue, Cream,off white, white porcelain – As shown in picture. Condition: A brand new, unworn item.